These are the green ones with the Gallatin-Scottsville schedule on the back. 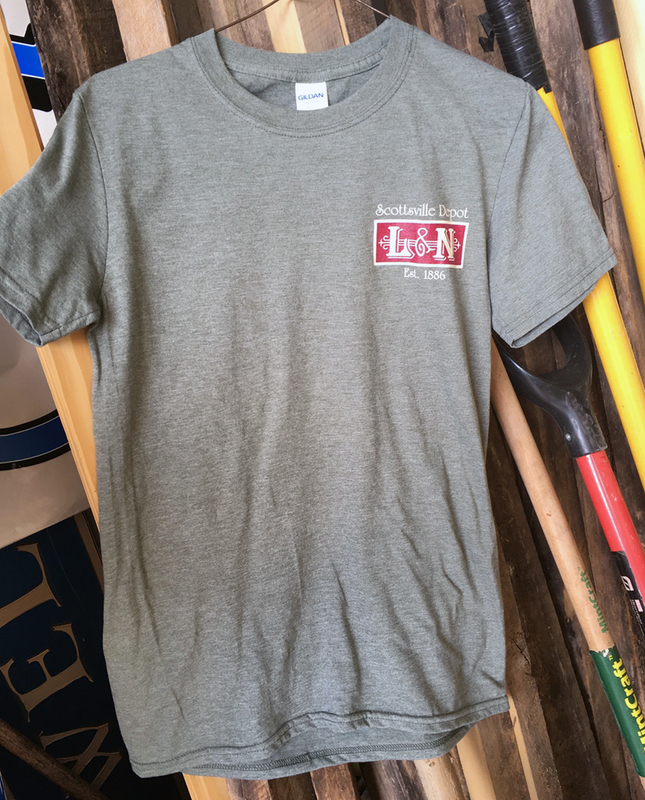 Both green and gray short sleeve still available at $15. 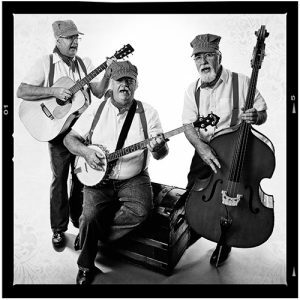 Available at the City gas/water office and the Historical Society - Scottsville, KY.
Ridin’ The Rails will be bringing our special brand of tunes to entertain you. 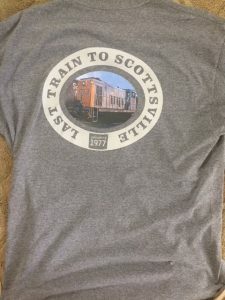 Scottsville Train Depot will have new Tee Shirts for sale. 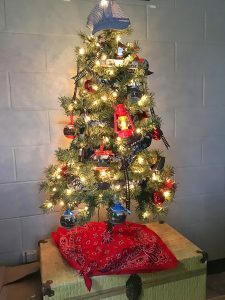 Join us and please feel free to help out the Scottsville Train Depot with your donations. 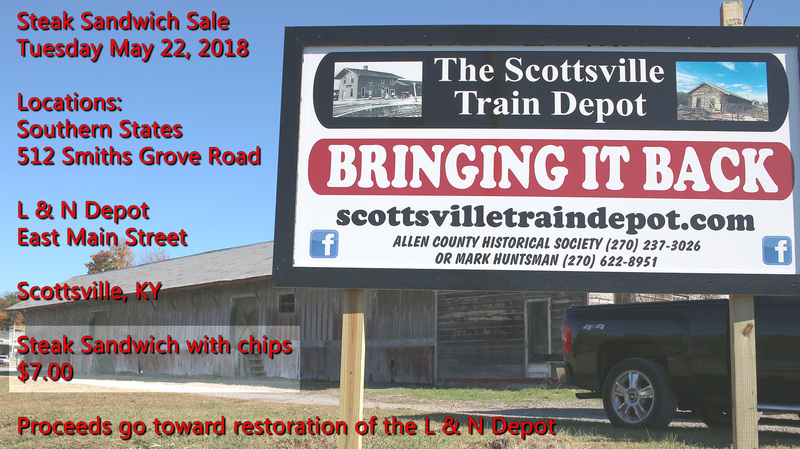 The event is in support of the restoration of the former L&N Railroad’s Scottsville, KY depot and 98 Locomotive – the last locomotive to service this depot. On Tuesday May 22, 2018 join us at Southern Sates 512 Smiths Grove Rd or the L & N Depot East Main St. Scottsville, KY for a Steak Sandwich Sale! Steak Sandwich with chips $7.00 – beverage available for $ .50 each. 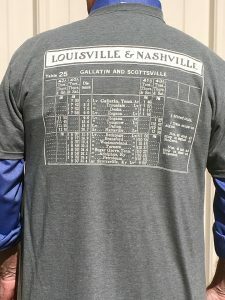 Sale starts at 8:00 A.M. Central time. 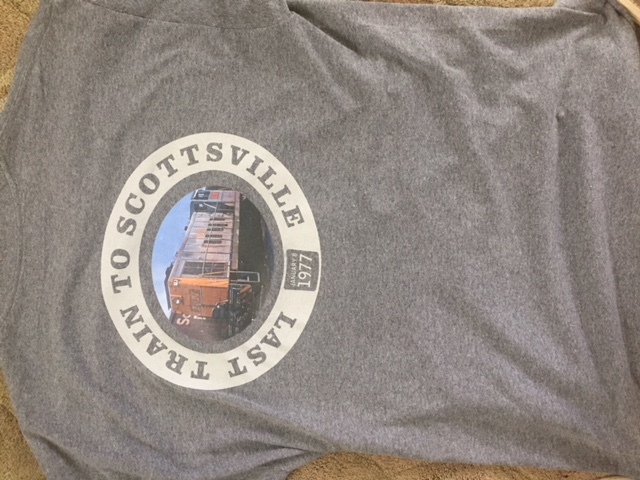 Proceeds go toward restoration of the Scottsville L & N Depot. Plan Ahead – Download and Fill out this Pre-Order Form (pdf size 177 kb) and Fax it to the number on the form. You may pickup your sandwiches or have your sandwiches delivered – info on the form. There should be plenty of Steak Sandwiches but plan to get your steak sandwiches early – available on a first come first serve basis. The L & N Depot will be open for your viewing pleasure. 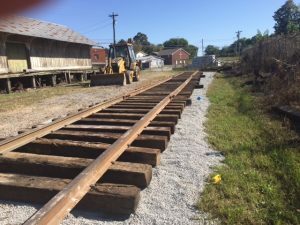 Interview with Dr. Mark Huntsman about the Scottsville Train Depot. Just booked! Mark your calendars for Saturday June 9th 2018. Ridin’ The Rails will be bringing our special brand of tunes to Kentucky’s Famous Paradise Point, just south of the Barren River State Park on US 31-E. 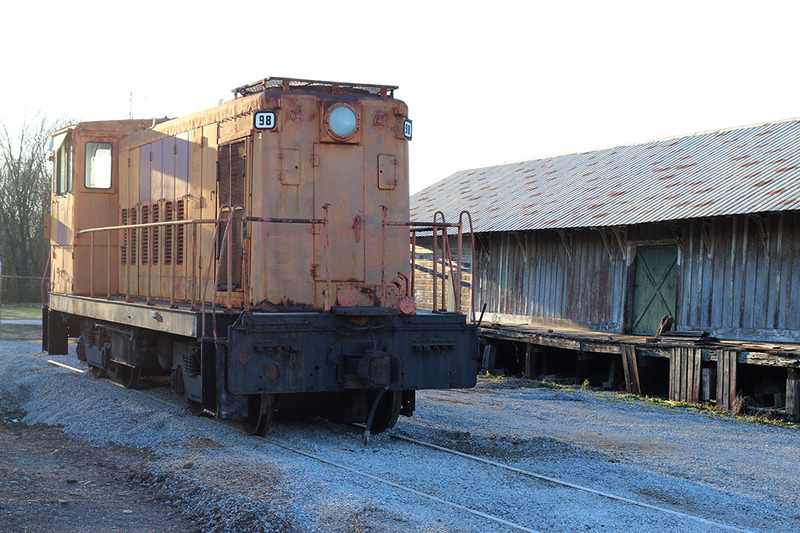 The event is in support of the restoration of the former L&N Railroad’s Scottsville, KY depot. More info as it becomes available. Hope to see you there! No. 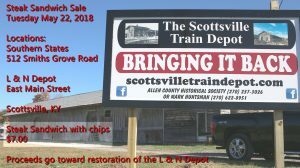 98 returned to Scottsville for the first time since 1977, for permanent display at the Scottsville Kentucky Train Depot thanks to help from the Allen County Historical Society and Friends of L & N Depot. Christmas tree from the PVA Office here in Scottsville, KY.
Come visit us as a we celebrate the start off this Christmas season and learn more about the L&N Depot Project. Track at the depot has been installed! of track laid in 4 hours-amazing. 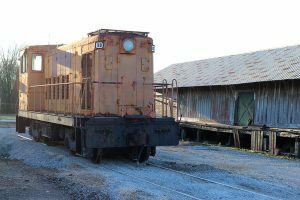 Author adminPosted on October 4, 2017 October 4, 2017 Leave a comment on Track at the depot has been installed!